A political analyst says the American people are “waking up to” the true nature of their country’s so-called “special relationship” with Israel. US Secretary of State John Kerry and other senior US officials have warned Israeli Prime Minister Benjamin Netanyahu against announcing new illegal settlement construction on occupied Palestinian territories. “A lot of people may have the feeling that America’s change of attitude toward Israel is purely theatrics, but I think that’s a mistake,” he opined. Americans are beginning to realize “that Israel is not and has never been a strategic asset of America [and] that it has always been a liability,” Cathail added. 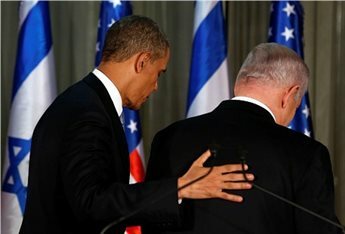 Israelis’ anger with the Obama administration intensified following an interim deal between Iran and the five permanent members of the UN Security Council -- the US, Britain, Russia, France and China -- plus Germany in Geneva on November 24. The interim deal over Iran’s nuclear energy program was welcomed by the international community. Since even before the deal was inked in Geneva, Israelis launched a lobbying campaign on Capitol Hill, hoping to get US lawmakers to pass new anti-Iran sanctions legislation. On Thursday, US Senators Bob Menendez (D-New Jersey) and Mark Kirk (R-Illinois) introduced a new anti-Iran sanctions bill. However, President Obama was quick to condemn the new anti-Iran effort by some hawkish senators and his Press Secretary Jay Carney said Obama would veto the bill if it ever passed Congress. Moreover, ten US Senate committee chairs warned against the new anti-Iran bill, saying they “are strongly opposed” to it. People have taken to streets of a Yemeni northwestern city to protest against interference by the United States and Israel. On Friday, the protesters staged a demonstration in the city of Sa'ada chanting slogans and holding placards against the interference. They also slammed Washington for launching assassination drone strikes in the country. The protest followed a drone attack against a wedding convoy on December 12, which left 17 people dead near Rada in the southwestern province of al-Bayda. Washington has stepped up its assassination drone operations in Yemen over the past few years. The US claims the targets of the drone attacks are al-Qaeda militants, but local officials and witnesses maintain that civilians have been the main victims of the attacks over the past few years. 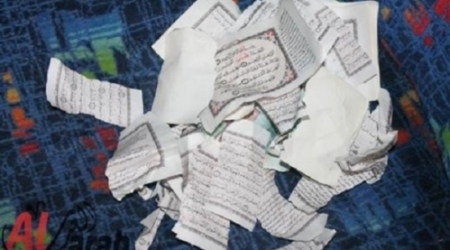 A survey of Israeli fifth grader attitudes towards Arabs in 2010 and 2012, revealed growing anti-Arab extremism in the student body of Israeli students. The exception to this trend was students who participated in the Ya Salam program, in which students are taught spoken Arabic at school. 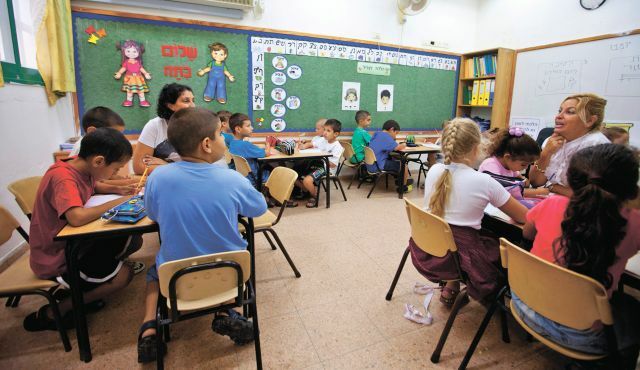 Increasing extremism among school-age children is due to the “continued deterioration in Jewish-Arab relations in Israel in recent years, which causes hate, fear and separatism,” according to a report by the Henrietta Szold Institute in Jerusalem. The Ya Salam curriculum for fifth- and sixth-grades is supposed to be the beginning of continued Arabic studies in junior high school (which in Israel starts in seventh grade). Today, it is taught to some 23,000 students in Israel. About 100 teachers teach the program, the great majority of who are Arabs. For most of the Israeli students, it is their first meeting with an Arab under equal conditions Haaretz reports. The report praises Ya Salam highly. It found that 91 percent of the principals are satisfied or very satisfied with the program as taught in their schools and recommend that it or a similar program, be included in the mandatory curriculum for all schools. The Szold Institute report dedicates a separate section to how the program affected the opinions of students about Arabic language and culture. For example, among students who did not participate in the program, there was a drop in the numbers of those showing a positive attitude towards Arabs - including the willingness to have relationships with Arabs. But among those who participated in the program, not only were the opinions more positive, they also had less of a stereotypical view of Arabs. “We tried to think of what is needed so Jews and Arabs can live together, and we thought that the lack of knowledge of the language is the first barrier to contact between people,” said Orna Simhon, head of the Education Ministry’s northern region. “At the same time, we are also strengthening the study of Hebrew in the Arab schools,” she said. Expanding the program to all of Israel would be the right thing to do Simhon told Haaretz. But Komem added that the Israeli ministry is not budgeting adequate resources to implement it - and certainly not enough to expand it. African asylum seekers are arrested and put onto a bus in Israel, where authorities have not granted them refugee status in 2013, Jewish asylum seekers in the port of Havana where they were denied asylum in 1939. The past two Israeli governments successfully turned the issue of African asylum seekers into a threat posed by infiltrators, who were subsequently criminalized. A short examination of the country’s history with infiltrators, however, can give us some important insights. Interior Minister Gideon Sa’ar, who’s in favor of expelling refugees from Africa, devised a catchy slogan – “A country of all its infiltrators” – in order to condemn those who defend asylum seekers in Israel. By using that concept he is trying to show the absurdity of those who support giving refugees asylum and rights – because nobody wants us to become a country of infiltrators. An historical examination of those who previously knocked at the gates of this the country, however, can give us some important and surprising insights. The first illegal infiltrators were the ma’apilim – the illegal immigrants who had to evade the British Mandate police trying to prevent illegal immigration. It’s worth noting that those infiltrators were welcomed with open arms by the pre-state Jewish community. 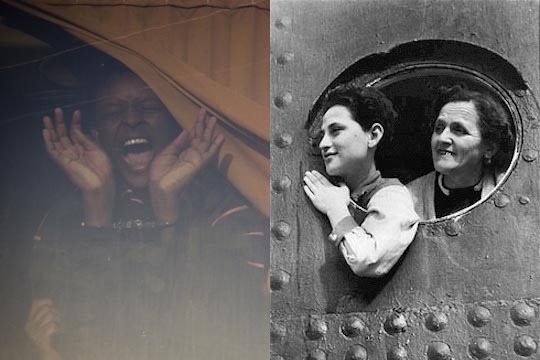 Some of them were Jews who managed to flee and infiltrate across the borders of countries under a Nazi regime or Nazi occupation in order to reach this country and after an agonizing journey, become legal citizens. The next infiltrators Israel received, not necessarily welcomingly, were Jews from Arab states who slipped through their countries’ borders after Zionism brought the pot of nationalism to a boil. Hundreds of thousands of Arab Jews found refuge in Israel and became its citizens. Not all Israeli Jews at the time wanted to prevent the refugees’ return. In 1956, Rabbi Binyamin, one of the founders of Brit Shalom, issued a compassionate plea: “To our infiltrating brother… From now on, don’t call him an infiltrator; call him an illegal immigrant, because you unknowingly bore redemption in your own illegal immigration. You are not hated, not an enemy, not a foe, but a brother and comrade. Thus shall you be treated: we shall rehabilitate you among us, as one of us, among your people, wherever you choose.” If only we could believe it. The 1954 Prevention of Infiltration Law created the legal framework to prevent the return of Palestinian refugees. 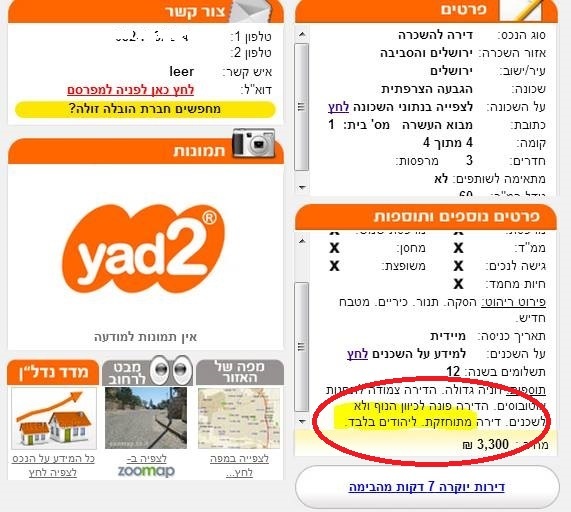 It was updated a week ago in order to criminalize the African refugees in Israel today. This law daringly leaped across and bridged decades to reflect the state’s consistent approach to the non-Jewish infiltrator. The law that made Palestinian infiltrators threatening and dangerous has also transformed African refugees into criminals. The tone of Sa’ar’s slogan recalls – perhaps intentionally – “a country of all its citizens,” the phrase by former Balad party chairman Azmi Bishara, who aimed to advance civil equality and challenge the Jewish character of the state. It’s as if Sa’ar is saying he’ll have “neither a country of all its infiltrators nor of all its citizens.” Sa’ar isn’t opposed to Israel taking in infiltrators, but he wants to filter them, to sort them into Jews and non-Jews, according to his Zionist ideology. The Jews should be accepted and the non-Jews should be left on the outside. It doesn’t matter whether they are natives of this land or refugees from wars in Africa. Had we been true to the legacy of Rabbi Binyamin and accepted both the Jews and non-Jews, we would have been able build something better, even if were to fall short of full redemption. Eitan Bronstein Aparicio is the founder of Zochrot. The UN is asking for 95 million dollars in food aid for almost a million Gazans, suffering under an Israeli blockade since 2006. Scores of UN projects have been shut down and thousands made jobless since Israel refused to allow in construction material in the besieged Gaza Strip. Palestinians are facing severe electricity shortages and reeling from devastating floods amid the cold winter weather. Meanwhile, the Israeli prime minister has said Tel Aviv will not stop even for a moment settlement construction on occupied Palestinian land despite the fact that U-N Resolution 4-4-6 and a ruling by the International Court of Justice conclude the Israeli settlements violate international law. Is Israel enjoying immunity from prosecution for its violations? On this edition of the Debate, we're discussing how a growing Boycott, Divestment and Sanctions campaign is affecting the global discourse on the Israeli-Palestinian problem. 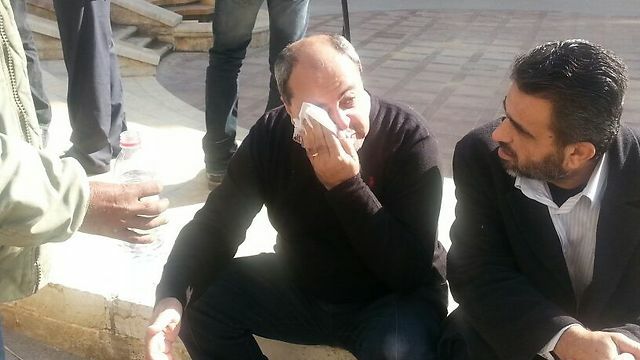 Police arrested a man Thursday morning for spilling hot tea on Knesset Member Ahmad Tibi (United Arab List-Ta'al) at a protest against the Prawer plan held by dozens of Negev residents in front of the Beersheba Magistrate's Court. During the course of the demonstration, a Jewish man in his forties approached Tibi and spilled the scorching-hot liquid on him. A few months ago, MK Tibi had symbolically poured water on the Prawer plan during a discussion of the bill in the Knesset plenum. It is not clear whether the tea spill was a direct, symbolic retaliation, but police have arrested the suspect; Tibi reported a burning sensation in his eyes. 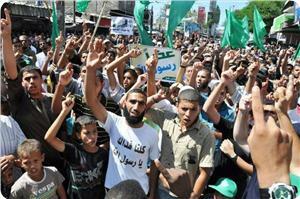 Dozens of demonstrators – among them Arab MKs and others in the Islamist movement – took part in the protest. After the incident, MK Tibi said: "There is not doubt that the right-wing's incitement against Arab MKs has an effect… The attack on me is the result of rising racism and inciting against Arab MKs specifically because of the Prawer affair." He added: "I don't fear death threats, spit, or hot tea, and I will continue to raise my voice in protest. It is severe that a public figure is physically attacked because of their position." One of the protesters explained the reason for the demonstration: "We are still concerned that the Israeli government is trying to execute the Prawer plan. It is endangering our existence on our land. We won't cede easily, even if they'll kill us in our homes." Another echoed the sentiment: "It is unfortunate that the State of Israel discriminates against her Arab citizens across the country. Instead of a government that protects us, the citizens, it abandons us. It doesn't care about the Negev residents, we are like dogs." The demonstrator testified that the person who spilled the tea acted "in full confidence, because he knew very well that in the end he will be released and not charged with anything. 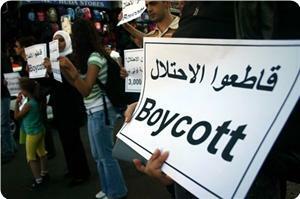 The government encourages activities against Arab citizens of the State of Israel." Plan out-of-commission? Last week, former Minister Benny Begin announced a halt of the Prawer plan to resettle Negev Bedouins, but the government has taken no steps regarding the matter – some deny the plan was ever even frozen. The Prawer outline is a governmental process that will resettle the Bedouin in the Negev. The plan was formed after a slow political process, and it is meant to help solve the land ownership dispute between the State and the Bedouin population in Israel. Due to the government’s intention to pass the bill, there has been a series of riots and protests in the past weeks that both Bedouins and other social activists have started. Netanyahu initially said – after seeing the protests – that the rioters will be punished and the bill will continue as planned. “There is no, and there will not be any tolerance for those who break the law. We will continue to advance the Prawer Bill. The attempts of a violent and loud minority to prevent a better future for this large and wide-spanning population have been severe.” The controversial plan is still under discussion. The member of Israel's parliament, the Knesset, has condemned the decision to look at ways to enlist Arab Christians and Bedouin into the Israel occupation forces (IOF). 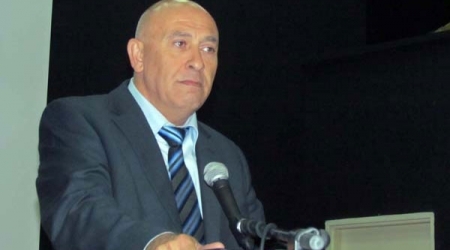 Dr Basel Ghattas said that the decision by the Knesset's Committee for Equal Sharing of the Burden is one of several attempts by the Israeli government to "divide and rule" its Palestinian citizens. "This is intended to strip Christians and Bedouin of their Arab-Palestinian identity," he said, "and turn them into sectarian minorities." According to the MP, Israel is capitalising on the presence of some people who defy the national consensus and commitment towards the Palestinian cause and people. He noted that the participation of the Christian Draft Forum, which is backed by an extreme Zionist organisation, in the Knesset burden committee "proves once again" that the forum does not represent the Arab Christian community. 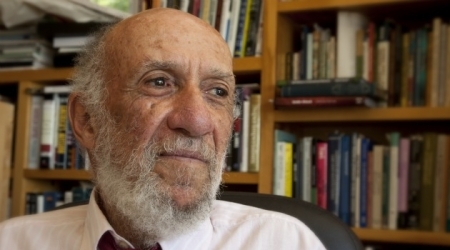 "Christians hold on to their Palestinian identity and reject all forms of enlisting in the Israeli occupation army or the civil service that Israel promotes to direct Arab youth away from their national identity and create divisions within the Arab Israeli community," argued Ghattas. Adding that he is confident that the Palestinian people are able to deter such desperate attempts despite Israel's dedication to such an underhand project, the MP pointed out that the Israeli government and the prime minister support the Christian draft plan. He called on political parties, religious figures and all other political entities to denounce and resist this dangerous move. Dr Ghattas also suggested a national conference against the plan, saying that he will begin preparations for such an event immediately. He highlighted the important role that can be played by youth activism in order to preserve Palestinian and Arab identity. 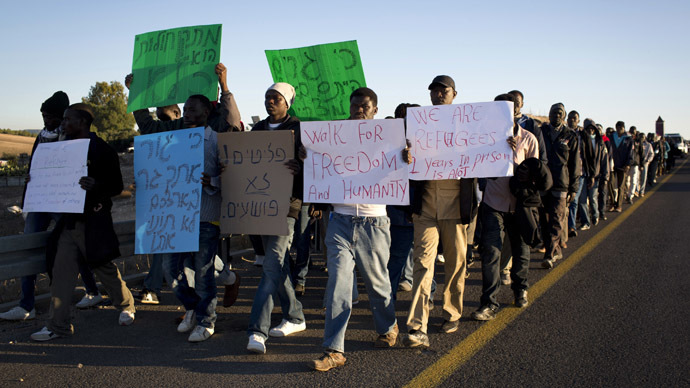 African illegal immigrants take part in a protest march on the highway near Lahav junction in southern Israel on their way to Jerusalem on December 16, 2013 after they fled a detention centre in the south where they were being held. Two situations capture the moral imagination as Christmas holidays approach: the plight of undocumented migrant workers from sub-Saharan Africa who are living in Israel, and the even direr humanitarian emergency in the Gaza Strip. 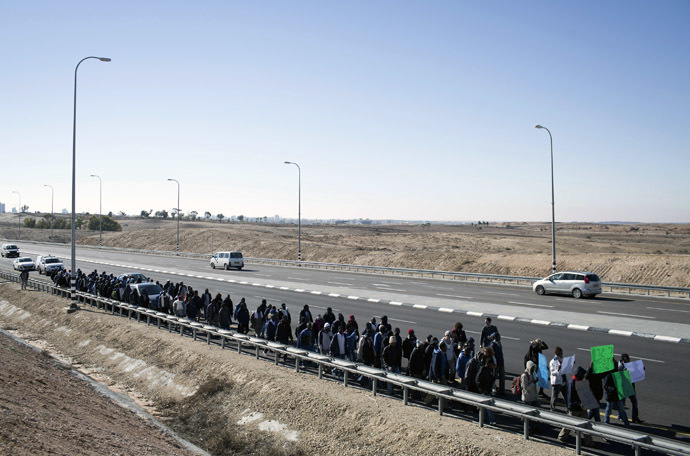 Reports about illegal immigrants from Eritrea, Sudan and other African countries who have entered Israel in recent years, seeking asylum and refugee status, being sent to a “de facto jail” raise questions about how a modern and progressive state can deprive people of liberty without charge or any specified release date. 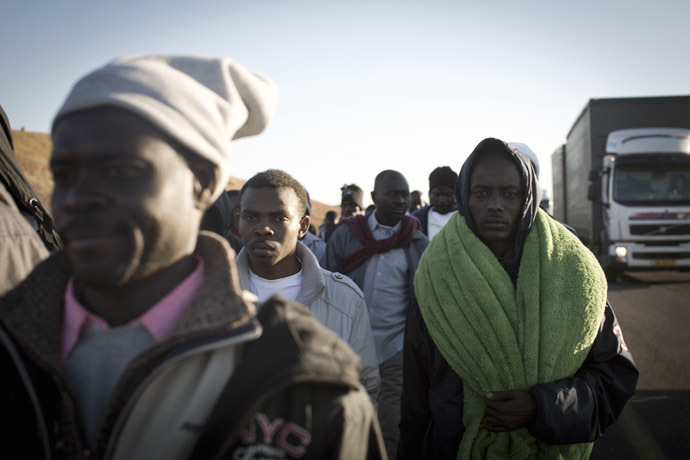 So far, Israel has taken the position (which seems generally accurate) that these African migrants, of which there are some 55,000, are not entitled to refugee status because their motivation was economic, and that there is no evidence that they face persecution. Unfortunately, governments have virtually unlimited authority to make such a determination without any right of the immigrant to mount a legal challenge – beyond what may be granted in the domestic legal system. International law is vague and unsatisfactory, although the UN Convention on the Status of Refugees does confirm the rule that no one can be forcibly deported to their country of nationality if they face the prospect of persecution upon return as a result of their race, religion or political views. The issue has recently surfaced in an ugly form as right-wing extremists in Israel have demanded that the government take stronger measures to prevent future entry and to detain and deport those who are currently present. They argue that such immigrants pose security problems by engaging in crime and they also dilute the Jewish character of Israel. In response, the government has constructed a fence along its 230-kilometer border with Egypt. Israel has also been negotiating deals with several African countries who are agreeing to take tens of thousands of migrants in exchange for a package that includes military equipment and training, and economic assistance relating to agriculture. What has caused concern among human rights groups is the prospect of putting these illegal migrants in a large detention center that is being built in the Israeli desert. A leftist Israeli politician, Zahava Galon, raised a poignant objection: “Is this how we, as a people who have asylum, treat human beings?” Of course, in Nazi times the Jews of Israel, more than any people of Earth were both asylum seekers and victims of exclusionary policies by the cruel self-righteous liberal democracies that invoked their sovereign rights. The official response is that the state in Israel is doing its best to strike a balance between protection of borders and infiltration and human rights, but with such historical memories, we might have expected more empathy by the leaders and public in Israel. Actually, international law and human rights standards have far too little to say about the vulnerability of these migrants. Israel is entitled to conclude that according to the legal definition of refugee these individuals do not qualify, as their motivation appears to have been economic, although some claim they face harsh punishments if they are deported to their country of nationality. Once denied refugee status, a government has broad discretion to detain and deport migrants. The whole situation points up the dangerous gap in the law that leaves such individuals in acutely vulnerable situations. What is obviously needed is a lawmaking treaty that addresses the challenge of illegal and unwanted economic migrants as a humanitarian challenge to the international community as a whole. Until this happens, and it is unlikely in the current internationally stressed situation, the tragic fate that confronts these undocumented migrants in Israel is likely to be repeated elsewhere. However, such an ethically disappointing approach is nothing new for Israel, taking into consideration that no less compelling and even more dramatic is the situation in Gaza, where the 1.7 million resident Palestinians have been blockaded by Israel since the middle of 2007 when Hamas took over the governance of the territory. The blockade, which has slightly eased in recent years, was a form of collective punishment, violating Article 33 of the 4th Geneva Convention, and amounting to a crime against humanity. It was a punitive measure imposed by Israel to punish the people in Gaza for voting in favor of Hamas in 2006 legislative elections and partly to make political life as difficult as possible for Hamas. To ease the burdens on the population, Gaza depended on an extraordinary tunnel network to bring supplies across the border from Egypt, and although it meant Gaza residents would be paying black market prices, it did provide the people with the necessities of life. Since the Egyptian coup of July 3, 2013, the situation in Gaza, always bad, has turned critical. The tunnels have been mainly destroyed by Egypt as an expression of its anti-Hamas outlook and in connection with its Sinai security concerns, resulting in crippling fuel shortages that imperil the health and wellbeing of Gaza in potentially catastrophic ways. Children are wading through streets overflowing with raw sewage, hospital machinery needed for the care of severe kidney and cardiac ailments is unavailable, and there is insufficient fuel for the minimal necessities of life, a situation aggravated in recent days by freezing temperatures. The silence of neighboring Arab governments, with the notable exceptions of Turkey and Qatar, which have sent Gaza money and fuel, and of the UN, is unforgivable. Even the normally apolitical relief agency, UNRWA, has called publically upon Israel to end the blockade in recognition of the emergency conditions. Saudi Arabia’s former intelligence minister and the former Israeli envoy to the US have reportedly held a meeting on the sidelines of a recent World Policy Conference in Monaco. According to the Israeli radio, Saudi Prince Turki al-Faisal publicly shook hands with Itamar Rabinovich during the event. Turki, who formerly served as Saudi ambassador to Washington, was also invited to Israel to deliver a speech before the Israeli parliament, Knesset, but he reportedly declined. The Saudi prince has criticized Washington for its policies, saying that the United States has backed out of its commitments to regional allies, the report indicated. Israeli media reports come at a time that the Israeli regime and Saudi Arabia express discontent with the US policy toward Syria and Iran. Turki said in an interview with the Wall Street Journal on Sunday that Riyadh wants to take part in nuclear talks between Iran and six major world powers. “It’s important for us to sit down at the same table. We have been absent,” he said. The reason why Iran is negotiating with the five permanent members of the UN Security Council - the US, Britain, Russia, China and France - plus Germany is that they are members of the UN Security Council, which currently handles Iran’s nuclear dossier, the Iranian lawmaker said. Informed sources have told Arabi 21 that the Cypriot President who arrived in Egypt today will discuss with the authorities the possibility of shipping Israeli gas to Egypt via Cyprus, the host of the agreement. The sources pointed out that shipping Israeli gas to Egypt will be via Cypriot mediation in order to avoid the embarrassment of exporting Israeli gas directly to Egypt in the shadow of the current political upheavals witnessed by Egypt since the coup. The Egyptian energy minister did state several days ago that his country was looking into the possibility of importing gas from Cyprus. 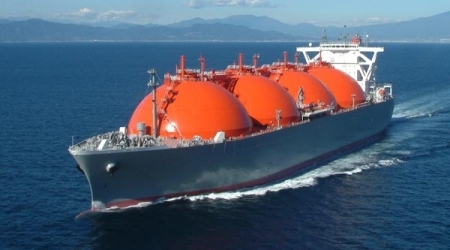 Energy specialists doubted this at the time because Cyprus will not be able to export gas for another ten years; in fact, Cyprus is still importing its own gas requirements from abroad. It is likely that Cyprus will soon sign a contract with the Israeli government and the U.S. Noble company to import gas from Israel. According to statements made by Israeli infrastructure minister Silvan Shalom, Israel is seeking to export gas to neighbouring Arab countries that are in need of energy because this will maximise benefits for Israel due to the low cost of transport. This is particularly so at this time when Asian markets are witnessing tough competition for energy resources. In a press conference he held in Rome several days ago with the Italian minister of economic development, Shalom said that his country is seeking to export gas to Egypt, Jordan and the Palestinian Authority. He added that such a deal would have to include giving Israel the right to use Egypt's gas liquefaction plants so as to enable Israel to export as much as possible of its gas equally to the Arab countries and Europe. It would seem there is an agreement on the Israeli side over the importance of agreeing with Egypt on this issue. In an interview with the Israeli newspaper Globes, former Israeli minister of infrastructure Binyamin Eleizer called for giving priority to exporting gas to neighbouring Arab states while also stressing the necessity of having access to the Egyptian gas liquefaction plant located in the city of Dumyat. The Cypriot press confirmed that talks between Cypriot President Nicos Anastasiades and Egyptian President Adly Mansour would cover the issue of gas, though no further details were given. On the other hand, the Egyptian press avoided any discussion of the subject and simply said that the two presidents would discuss economic cooperation and bilateral relations. The Hebrew radio claimed on Sunday evening that a “historic” meeting was held between Saudi and Israeli officials in Monaco. The radio said in its evening news bulletin that the meeting was held on the sidelines of a conference in the Principality of Monaco. 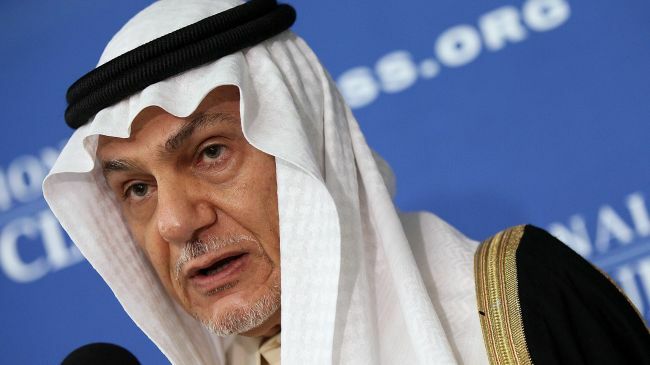 It said that former Saudi ambassador to the USA prince Turki Al-Faisal shook hands with former Israeli ambassador to Washington Itamar Rabinovich and Knesset (parliament) member Meir Sheetrit. The broadcast said that Turki urged the Israelis to accept the Saudi initiative to solve the Middle East crisis. It quoted the Saudi former ambassador as doubting the credibility of American president Barack Obama regarding the Palestinian-Israeli negotiations. It also quoted Turki as saying in response to an invitation by Sheetrit to address the Israeli Knesset that such a step was not of any benefit as long as Israel did not accept the Saudi peace initiative. Israeli military sources have reported that an Israeli soldier was shot and killed by rounds fired from the Lebanese side of the border, adding that a Lebanese soldier fired the shots. Israeli daily, Haaretz, has reported that Tel Aviv has filed an official complaint against Lebanon with the United Nations, adding that the incident will not likely lead to confrontation between Lebanon and Israel. The incident took place around 8:30 PM, while an Israeli military vehicle was patrolling a border area. were fired, likely from a light firearm, and from a relatively close range. Furthermore, the Lebanese army has reported that one of its soldiers is missing, and that Israeli soldiers likely abducted him. Similar to the Israeli Army, the Lebanese armed forces declared a state of emergency in the area. In addition, Israeli war jets were seen flying over Lebanese airspace, firing flares to illuminate border areas. Haaretz also said that a senior Israeli military officer stated that the Israeli military is still weighing its response to the incident, and that it is currently investigating the attack. The officer stated that the army “will not tolerate attacks against Israel and its citizens”, and “reserves the right to retaliate at the appropriate time and place”, Haaretz said, and added that this is the first attack of its kind in the past three years. The United Nations Interim Force in Lebanon (UNIFIL) stated that it is holding talks with Tel Aviv and Beirut, in an attempt to prevent further escalation, and that the incident took place on the Israeli side of the border. The UNIFIL added that it is also investigating the fatal shooting, and that both Israel and Lebanon are cooperating with the investigation. 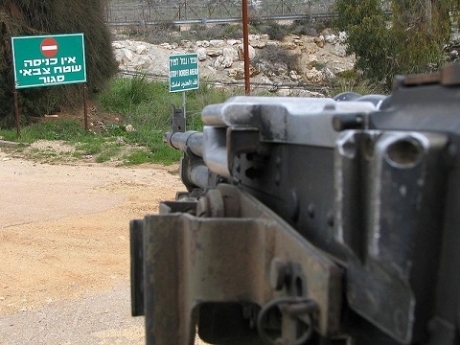 An Israeli army soldier who was trying to infiltrate into Lebanon has been killed by sniper fire, reports say. The incident occurred late on Sunday at the western tip of the border region. The Israeli military said that shots were fired at a vehicle traveling along the Lebanese border, adding that the sniper was from the Lebanese military. It confirmed the death of the Israeli trooper. The UN Interim Force in Lebanon, known as UNIFIL, in southern Lebanon said it had been informed about "a serious incident" at the border. "We are now trying to determine the facts of what happened and the situation is ongoing," UNIFIL spokesman Andrea Tenenti said. "UNIFIL's force commander is in contact with counterparts in the Lebanese and Israeli army, urging restraint." A bill that would have included Israel in a visa waiver program with the United States is "dead," as the House of Representatives has left for the year, an American nonprofit organization said Friday. The refusal of Israel's equivalent of the Red Cross to accept blood from an Ethiopian Jewish lawmaker sparked demands on Wednesday for a review of guidelines seen as deeply discriminatory. The rejection of the blood from Pnina Tamano-Shata by an official of Magen David Adom came at a donor drive outside parliament and was caught on video footage which was widely aired by Israeli television channels. "Under health ministry directives, we are unable to accept blood from donors of Ethiopian Jewish origin," the health official is heard to say as he spurns the donation. Ministry guidelines do not in fact bar donations from all of Israel's more than 120,000 Ethiopian Jews, only to those 80,000 among them who were born in Africa and migrated to Israel, most of them in two massive airlifts in 1984 and 1991. The pretext long given is that it is a measure to prevent the AIDS virus getting into the blood bank and being spread through transfusions. But critics say the blanket ban has no medical basis and masks persistent racism among other Israeli Jews towards the black Ethiopian minority. Tamano-Shata is a member of parliament for the centrist Yesh Atid party, part of Israel's governing coalition. Prime Minister Benjamin Netanyahu rang her to express his "admiration" for her offer to give blood and to promise a review of the ministry guidelines. Tamano-Shata herself hit out at an "affront to an entire community on the basis of the color of their skin". "I'm 32, I arrived in Israel at the age of three, did my military service and have two children. There's no reason to treat me in this way," she told Channel 10 television. She recalled that 16 years ago, the revelation that health authorities were secretly throwing away blood donations from Ethiopian Jews had sparked a massive protest in Jerusalem. "I myself took part in that demonstration but nothing has changed since then," she said. 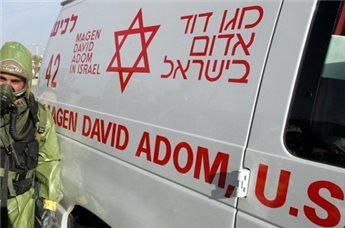 Top Magen David Adom officials later agreed they could take Tamano-Shata's blood, but only to freeze it, not to put it into the national blood bank, the Ynet news website reported. Press TV has conducted an interview with Joe Iosbaker, United National Anti-War Committee, Chicago about Nelson Mandela and what the US has learned or could learn from how it dealt with him during his lifetime.